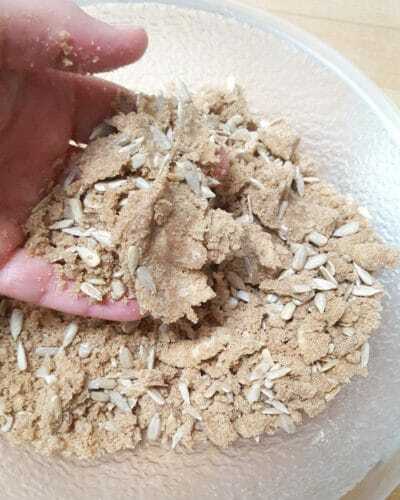 Have you ever baked with sunflower flour? Me neither until I created Sunflower Crumb Muffins. 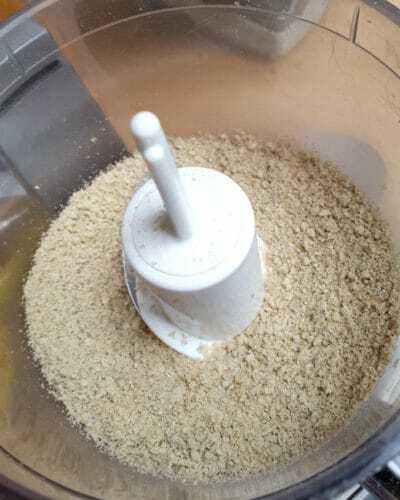 I use ground sunflower seeds as a flour in the batter and whole sunflower seeds for a crunchy crumb topping. Today the #BreadBakers group is celebrating Mother’s Day our way. We’re making breads inspired by Mother’s Day or May Flowers. I’ve combined the two parts of this theme by making muffins using sunflower seeds. 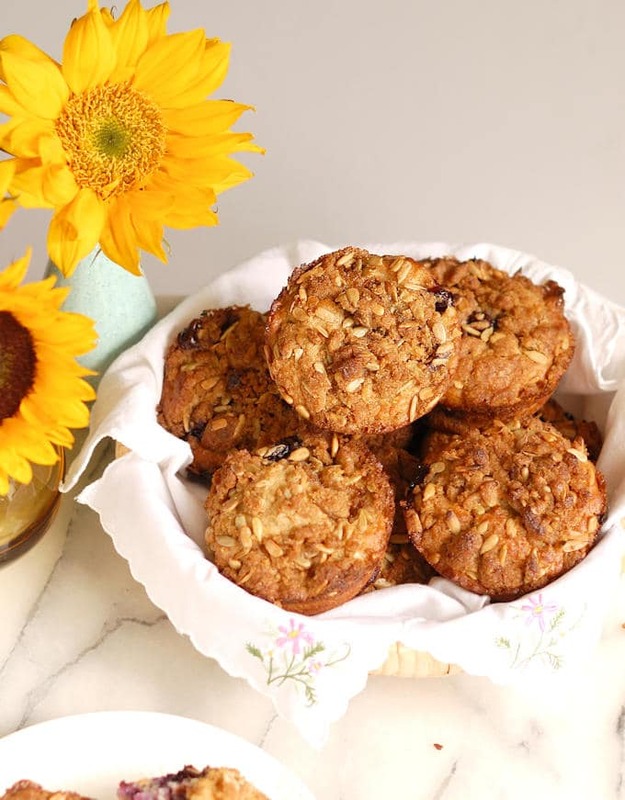 These flower-inspired muffins would be the perfect treat for a Mother’s Day Brunch. 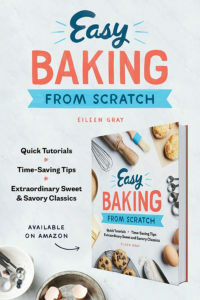 The batter is made in a single bowl without using a mixer. 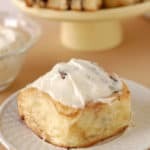 They’re so easy to make that the kids can make them for mom’s breakfast in bed. I personally don’t like muffins that are too cake-like. 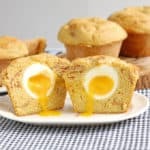 Since I generally think of muffins as breakfast food, I like them to be a little heartier and healthier. 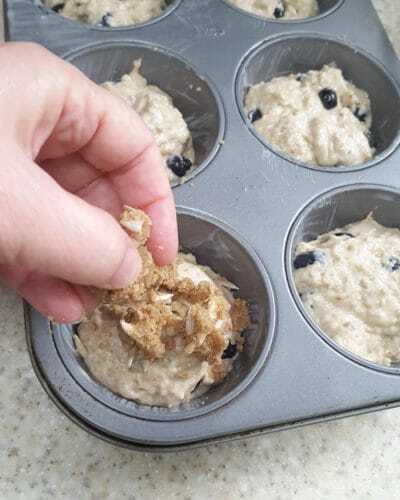 Of course blueberries are super healthy and super delicious in muffins, so adding them was a no-brainer. The “flower” inspiration for this muffin was easy. 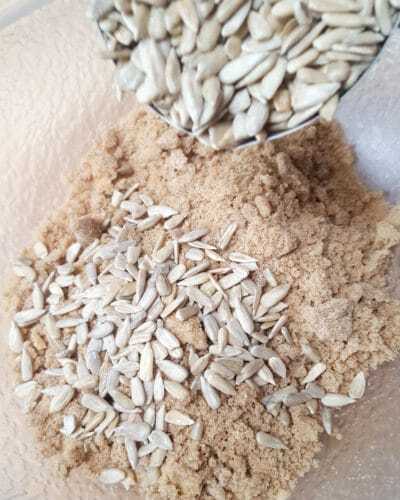 Sunflower seeds are great source of protein, fiber, B vitamins, vitamin E and minerals. The seeds are high in fat content, but the healthy type of fat. The high protein and fat in the ground seeds make them perfect for baking muffins. 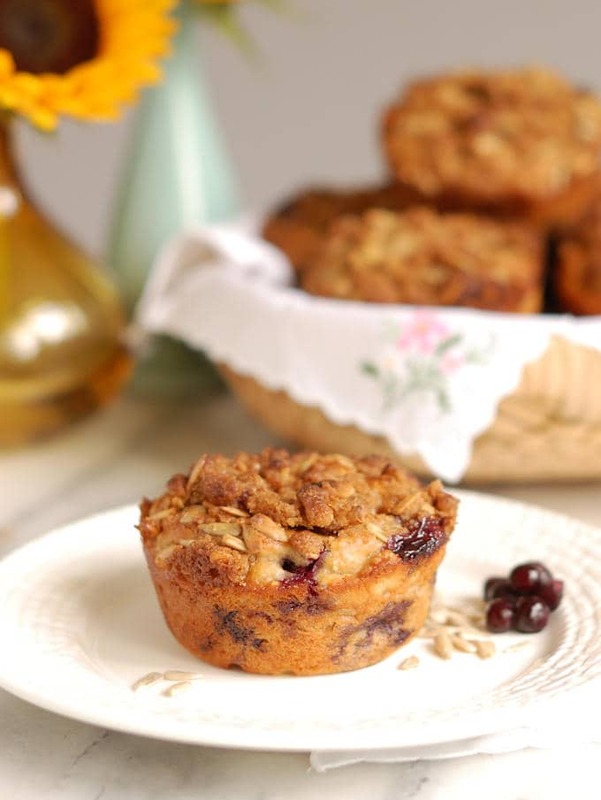 The sunflower flour adds a nice nutty flavor and great texture to the muffins. I dressed these muffins up with a crumb topping to make them a special Mother’s day breakfast/brunch treat. 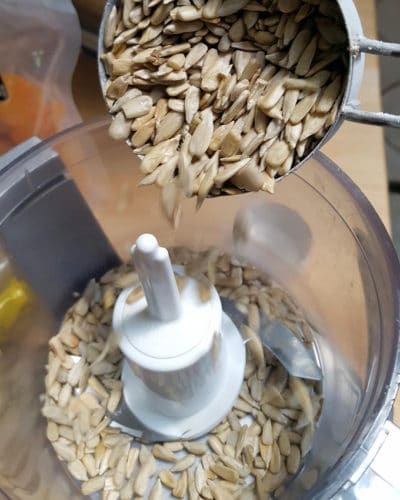 If you wanted to reduce the sugar in the muffins for everyday eating, simply eliminate the crumb topping and sprinkle sunflower seeds on the muffins before baking. 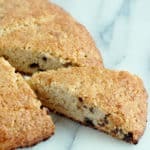 The seeds will add a crunch to the topping without the extra sugar and butter. Preheat the oven to 375°F convection or 400°F regular. Brush 9 jumbo muffin cups or 18 regular size muffin cups with melted butter. 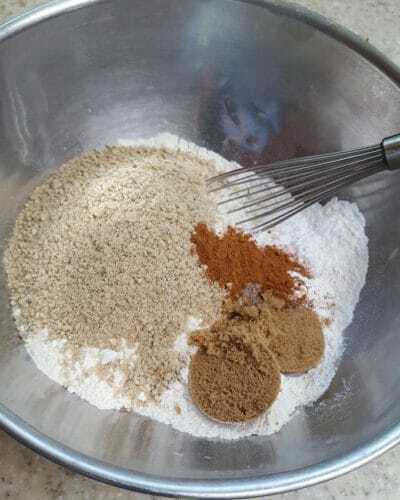 Combine the brown sugar, flour and spices in a small bowl. Whisk the dry ingredients together. Toss the butter cubes with the dry ingredients then use your fingers to work the butter until the bits are smaller than a pea. Toss in the seeds. Use your hands to squeeze the crumble into large hunks. 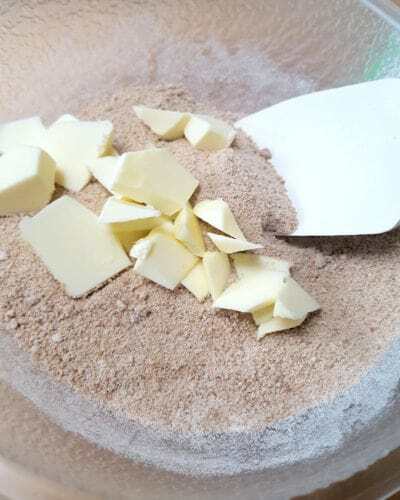 Set aside the crumble while making the batter. 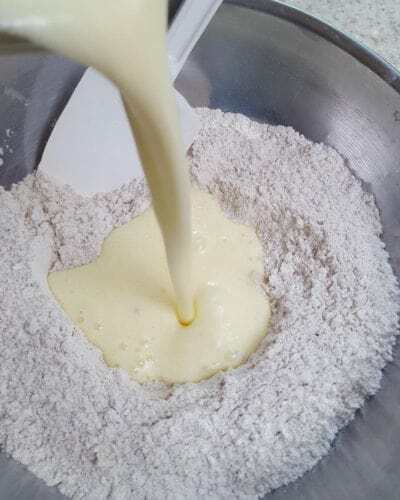 Whisk together the dry ingredients in a mixing bowl. Whisk together the egg, buttermilk and oil. Pour the wet ingredients into the dry and stir just until combined. Fold in the blueberries. Portion the batter between the muffin cups.The cups should be about 1/2 full. 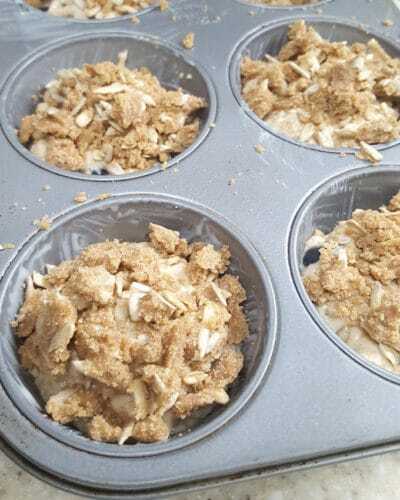 To sprinkle the crumble, grab large chunks and breaks them into smaller chunks on top of the muffins. Divide the crumb topping evenly among the muffins. 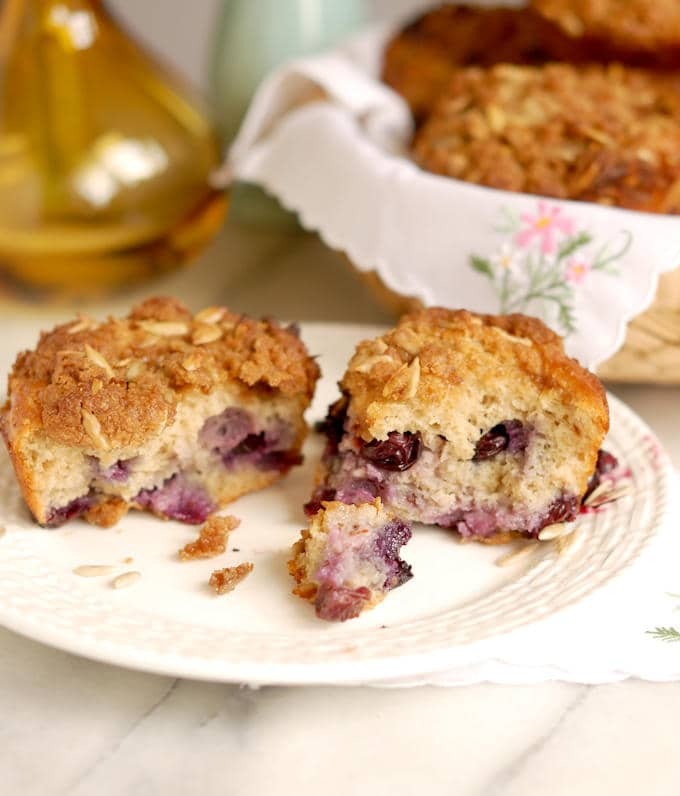 Because there are a lot of blueberries in these muffins they are very soft when they come out of the oven. If you turn them out of the pans when they're still very warm they may collapse a bit. That's ok. They still taste great. Thanks to Julie at Hostess At Heart for hosting. Here’s what our creative bakers came up with. I nearly went with sunflower seeds as well. I didn’t think of using them for flour though. Great recipe. This is the first time I used them as a flour, but it won’t be the last. I love how rich and tasty the sunflower flour makes the muffins. I’m keeping the crumb topping! These are the perfect special occasion muffins! 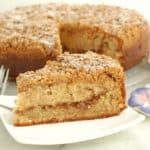 The crumb topping is crunchy & tasty! The sunflower flour was a revelation. I can’t wait to try more recipes using it. 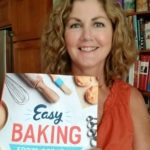 Hi Eileen, the recipe is certainly very healthy and delicious. Cinnamon, cardamom, and blueberries must have been a lovely combination of flavours. Thanks, Namita. The flavors are wonderful together. 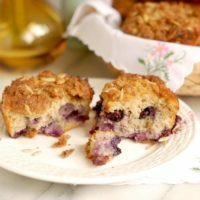 Wonderful tempting muffins. I’ve got quite a bit of sunflower seeds in the fridge, will try these muffins out soon. Great Mayuri. 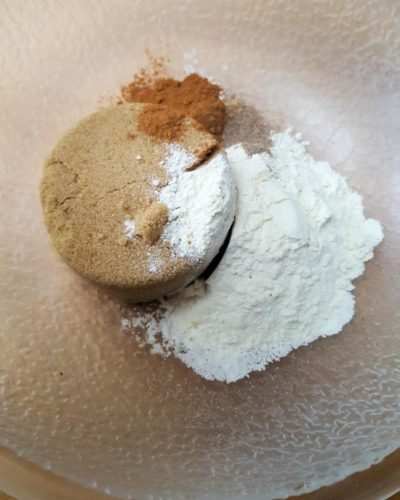 I can’t wait to experiment some more with the sunflower flour. 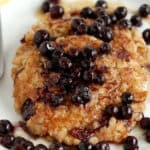 Love the crumb topping and the blueberry addition, which is my favorite. 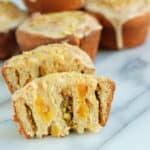 Wow I have never seen sunflower muffins that look so gorgeous!! Amazing!! Those muffins look awesome Eileen. Love the crunchy crumb topping.